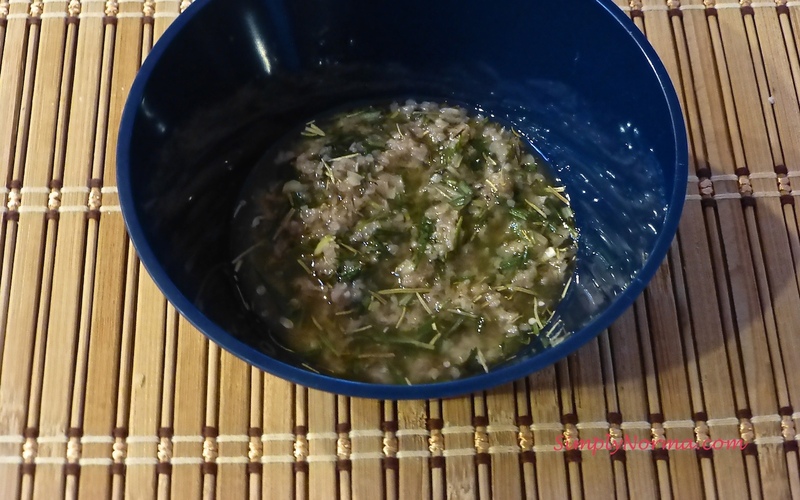 Here’s an improvised recipe — the original one had the lamb chops cooking on the stovetop. That didn’t work too well for me as the house got very smokey and in our house the alarms are quite sensitive. 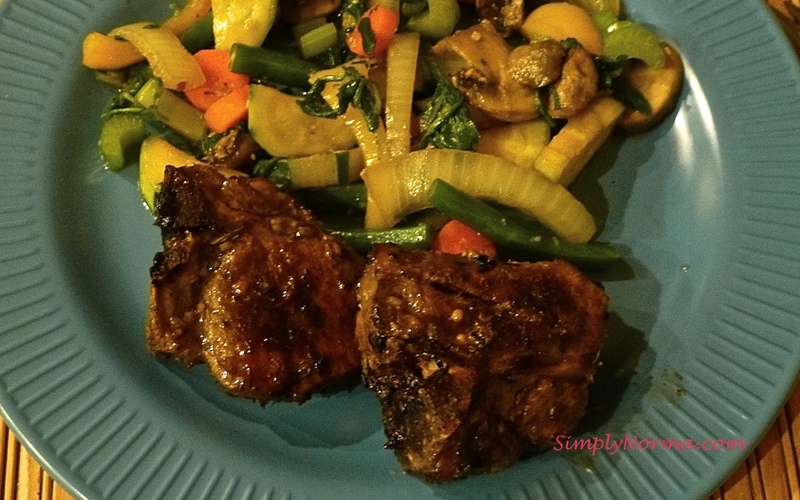 In the long run, I did my husbands lamb chops on the stovetop and I plopped mine in the oven until they were cooked the way I like them — no pink at all in the middle. Any hint of redness makes me gag. But my husband likes his meat medium rare sometimes. Ugh. Anyway — here are the ingredients I used for the marinade. And you’ll be marinading the lamb chops for a couple hours or you could just brush them on the lamb chops right before cooking if you forget to marinade. 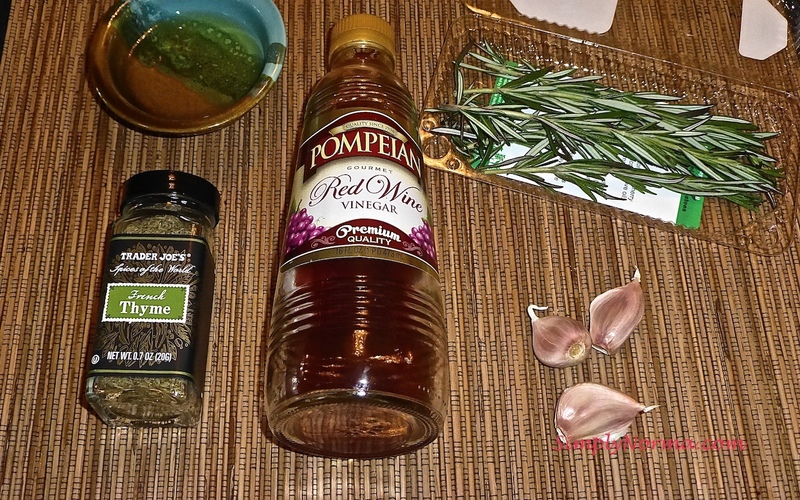 Marinade the lamb chops in a mixture of garlic, rosemary, thyme, red wine vinegar, and olive oil for 1-2 hours. I put them in the refrigerator for this. When ready, remove the chops from the refrigerator and allow them to sit until they are at room temperature – approximately 30 minutes. Heat a cast iron skillet to medium heat and place the lamb in the skillet. Cook the lamb chops for 4-5 minutes in the skillet then flip them over and cook them an additional 3-4 minutes. Remove the lamb chops from the skillet and allow them to rest for about 5 minutes. Preheat the oven to 400°F convection (or regular bake). 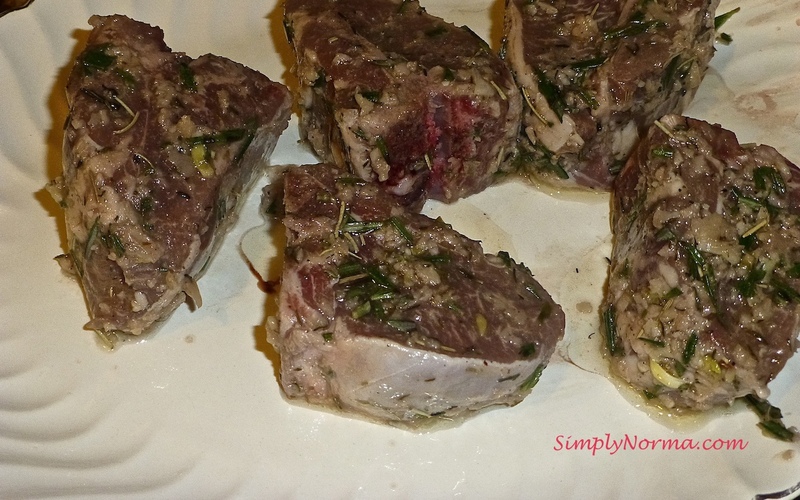 Add the lamb to a baking dish and bake for approximately 20 more minutes. Check for doneness with a meat thermometer which should read 170 degrees. Keep in mind that the lamb was in the skillet first so it was partially cooked through which is why it doesn’t need to be in the oven longer. I just followed the additional step because I can’t eat meat that’s not well done. And — after all this, my picture didn’t come out so great. Here are the two recipes that I combined to get MY baked lamb chops.